Mahesh Babu, who is currently busy promoting Brahmotsavam, has quashed reports that he had recommended Suriya's name for Vikram Kumar's 24. 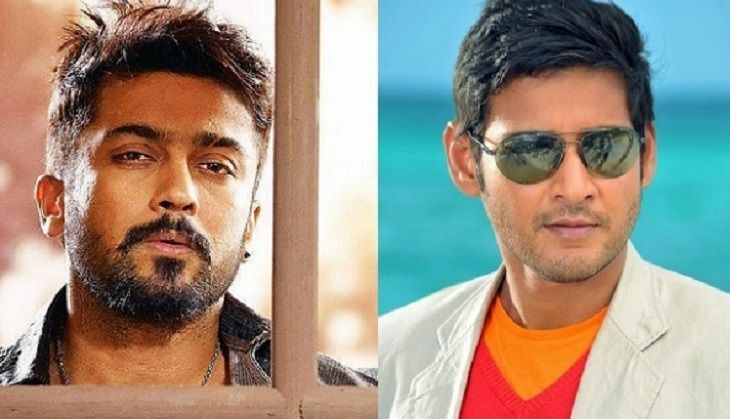 The sci-fi thriller - which features Suriya in a triple role - was initially offered to Mahesh Babu. And while the Brahmotsavam loved the script, he was not comfortable with essaying three different characters in the film - namely, Athreya, Mani and Sethuraman​. The Telugu superstar said that after he watched the film he realised that no other actor could pull off a film like 24 like Suriya had. After the release of Brahmotsavam, Mahesh Babi is set to collaborate with 24 director, Vikram Kumar in an upcoming untitled Telugu movie. Brahmotsavam, touted to be a family entertainer, also stars Samantha Ruth Prabhu, Kajal Aggarwal, Pranitha Subhash, Sathyaraj, Revathi and Jayasudha. The Sreekanth Addala-directed film is scheduled to hit the screens on 20 May.